Karl Benz was granted a patent for his design of the first boxer engine with horizontally opposed pistons in 1896. His design created an engine in which the corresponding pistons reach top-dead center simultaneously, thus balancing each other with respect to momentum. 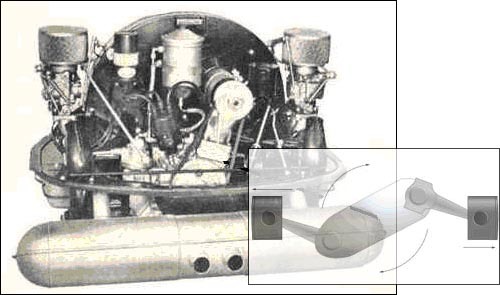 Flat engines with four or fewer cylinders are most commonly boxer engines, also known as horizontally opposed engines. This continues to be the design principle for high performance automobile racing engines such as Porsches - and as we shall see, today's subject: the re:X boXXer7 speaker system. I'm always curious about the taste behind the design. Would you share a bit about your musical leanings? My musical tastes are wide-ranging among Western musical styles; I only really shortchange classical music and opera. That is to say that it gets the least airtime on my system, but does not mean that I never hear any. I do have reference recordings of orchestral, chamber and operatic scores. Do you enjoy live concerts? I go to concerts and opera events with my mother and am often quite taken with the experience. I love solo piano, and I believe that it is quite challenging to get right on an audio system. I love a great deal of jazz, save fusion ... and, I listen to a fair share of dub, reggae, hip-hop and electronica. What's in your bag of reference sounds? My favorite reference sounds when tuning speakers are: human voice, piano, cymbals, snare rim shots and hand claps. Acoustic guitar. Harmonica. These are all part of my permanent "live sound vocabulary" in my mind, therefore preferred reference sounds. My favorite drum-n-bass artist is Squarepusher, whose music can at times resemble a frequency-sweep burn-in record. His saving grace is that he records his own real drum and bass-guitar parts into his electronica. It's exceedingly harsh stuff on a poor-sounding rig. I have achieved very satisfactory sound from his albums although this eluded me at first when prototyping began. I test with a variety of gear, especially amplification. Like any speaker designer might, I wish for a bank vault full of different amplifiers to test with but my budget won't allow it. I make sure to include low-rent, solid-state amps in the mix to make sure that the speakers don't sound unduly harsh or bright or glary with a cheap front-end. Digital amps are also very much featured in my test arsenal and I only wish for greater access to the myriad tubes and tube designs out there. That is literally a life-long journey of listening and familiarization ahead of m but I have tried many likely suspects, including EL34-based amps and those I have mentioned before. OTL amps hold great promise for integrating with my design but I have yet to try one out. I have access potentially to an Atma-Sphere, which I hope to try out soon. 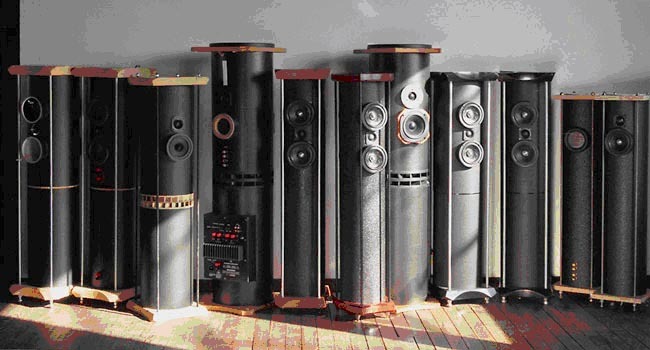 In 1999, Vytas, founder and originator of the re:X design philosophy, began to dream of a way to produce simple but highly functional speaker systems based on cylinders that would combine excellent value with great looks. After a two-year detour of devotion to completely update a 100 year-old carriage house in Ambler, PA, the second floor became the showroom and offices of Viesulas Audio. Vytas was now ready to concentrate full time on the dream, dedicating three years on the (literal) ground floor -- where the wood shop, finishing area, workbenches and so on reside -- to perform intense R&D on his systems. 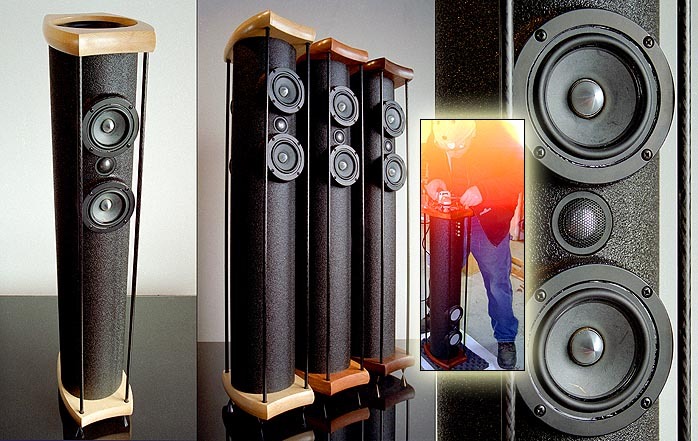 At this point, re:X can be categorized as a small but strongly focused artisan wood shop committed to producing limited quantities of specialized speakers. What patrons get is a handmade product from the woodcuts to the rubbed finishes. What they don't get is a cookie-cutter product or sprayed finishes - and by the way, Vytas just says "No!" to outsourcing, which can impact quality control. It should then come as no surprise that to Vytas, quality goes beyond appearances. While he wants his time- and phase-coherent products to enhance your listening experience. He is also committed to keeping certain aspects of his work from getting under your skin - or harming the environment. Hence, says he, the avoidance of MDF (medium-density fiberboard) and fiberglass damping materials "because of their propensity to emit such harmful chemicals." Using natural and/or chemically inert damping materials inside speaker enclosures and a wood finishing system based on custom-formulated hand-rubbed tung oil and beeswax finishes combined with a polyurethane and carnauba wax polish is simply a natural extension of his vision. Quality also means that you don't skimp on parts. That includes 12-gauge Alpha-Core copper foil inductors, paralleled metal-film capacitors and Neutrik Speakon plugs and jacks for the subwoofers. Vytas accordingly notes that he chooses to forgo the expediency of certain approaches. 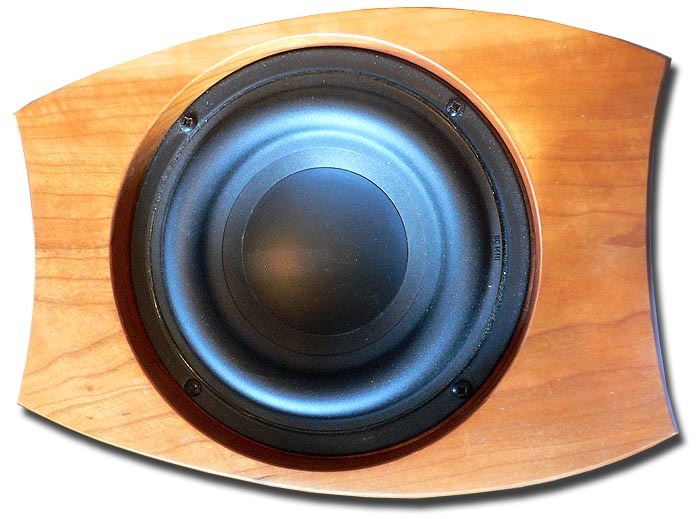 True to the artisan approach, re:X speakers eschew "labor-saving lug connectors which offer a sub-optimal connection and can come loose over time [and] circuit boards with their long solder pathways and vibration-prone mounting." Instead, Vytas hard-wires low-resistance shock-mounted crossovers and the speaker drivers point-to-point, using 4%-silver lead-free solder and Teflon-insulated wiring. Since these features -- plus several pages of valuable information regarding approach, design, components -- can be perused in detail by a visit to the re:X web site, let's get back to the business of the box - erm, cylinder. The boXXer7 floor-standing speakers are obviously not boxy. Vytas: "Cylinders and spheres are nature's most perfect pressure vessels. Why do you suppose high-pressure containers like propane tanks take the form of a cylinder capped with two hemispheres? When pressurized, these round forms resist rupturing by distributing force along the surface of the structure. A box wall will instead flex outwards and thus resonate when sound waves impact on it." Another principle at play here is that the driver arrangement coupled with the cylindrical enclosure of boXXer7 speakers combine to allow the former -- as there is no flat front surface to generate early reflections out of phase with the original signal -- to maneuver as though they were in free space. There are no corners for the sound wave to bend around, so there is also minimal diffraction (another cause of phase anomalies). In short, the speakers are designed to behave like point sources of sound floating in your room. Much like the engine patented by Mr. Benz, the symmetrically placed subwoofers on the top and bottom of these speakers produce equal and opposing forces, thus balancing each other with respect to momentum. Says Vytas, "This frees our speakers from unnecessary and wasteful vibration. Any subwoofer or full-range speaker with unbalanced bass drivers will vibrate in reaction to the forces produced by the woofers as they attempt to 'push the air around'. 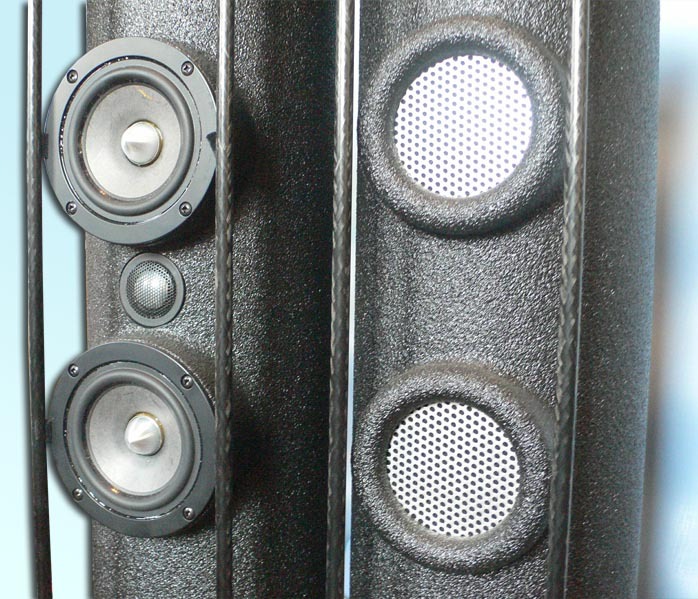 The air itself 'pushes back' and causes the entire speaker cabinet to vibrate. Sure, the air loses this fight and bass sound waves roll out into your room. But not before the sub or speaker has transmitted a significant amount of energy into the floor and the enclosure instead of the air." Each boXXer7 is a smallish, lightweight (32 pounds each) yet extremely rigid speaker constructed from two 4.5" high-density polymer tubes mechanically press-fitted into a 7" multi-layer spiral-wound fiber-core tube. While checking the specs before listening, I have to own up to thinking that the published, low frequency response of 27Hz seemed overly ambitious to me. But I wound up having to think again after listening. The low frequency response was truly exceptional. With four separate magnets managing smaller and lighter cones, the 6.5-inch drivers with 12mm X-max get their kick from a standard high-power BASH sub amp, rated at 300W RMS (with a continuously variable 24dB/octave electronic low-pass filter and auto-sensing circuit). The two twins are said to move as much air as a 13-inch sub with similar excursion. I can't vouch for the specific volume of air moved, but the grouping did conspire to provide an exceptional portrayal of range in the bass - and as it went deeper, it never got boomy. Think of bass so punchy it can turn on a dime - and give you nine cents change. Said another way, quite articulate and somewhat lean in my space. Not quite my cuppa then with respect to presentation but I do recognize quality when I hear it and predict there are audiophiles and music lovers who will be partial to that persona. Couple that solid foundation with fine overall transient response and a frequently deep and detailed soundstage and you have my epigrammatic satisfaction quotient. With that said, I must also communicate that the boXXer7 speakers' overall presentation was not for me. While the rendering of specific and appropriately placed images was excellent (despite some veiling), image dimensionality and density were not. I'm referring to instrumental body (in the case of a guitar) and palpability (in the case of a vibrating human chest behind the voice). That projected roundedness (and it must be both projected and round) is as important to me as bass that -- in addition to moving air -- develops its own bloom. When looking for subtle harmonics and the body/weight I hear from voices and various acoustic instruments familiar to me, I found this aspect of the delivery laconic and texturally incomplete. Also -- and I suspect this captures my bias for passion over reason most succinctly -- the voicing and character of the boXXer7 begins to peg the light end of my "Is it super model or Rubenesque?" meter. That is not an indictment and further is not (as some may mistakenly assume) due to an excess of energy or brightness in the upper mids and treble, for example. That, in fact, can occur in the otherwise darkest of systems. This is about a personality that is lighter, whiter and dry. So it makes sense that these speakers did keep my interest better on house and techno than on acoustic jazz, solo instruments or vocals, male or female. Still, in neither case did they make we want to sit and listen for hours on end and I tend to trust my gut when it comes to establishing communicative relationships. That said, I also tend to trust fellow moonster Jeff Day for a reality check when I'm taking gear through its paces. He came over for an afternoon and was left with similar impressions. He punctuated my (until then silent) observations regarding the flatness of images and tonal trim and added that he didn't get a strong sense of musical flow or PRaT (Pace, Rhythm and Timing). In the end -- and after trying a few different configurations of sources and other speakers -- we also both agreed that there were no perceived issues with gain or control from any of the associated gear. As always and true to form, it was clear that the universe was also functioning properly. Within a day of beginning to discuss the current state of affairs of this review with Srajan, we heard of Ken's interest in the re:X design based on his positive experience with them at VTV published on American Wired. The sign was a clear one and we decided that the most fair thing, for all concerned, was to forward my review pair along to him for further exploration and a formal second opinion. I think it's important to note that my current speakers include two pairs of Fostex-based single driver speakers and the Zu Druid. My system (that includes the room) is well tuned to those designs, which are markedly different from the boXXer7. Compared to those resonant bass alignments, a sealed configuration like the re:X can sound lean - and low-distortion bass can normally sound even leaner. It's no secret to any of my audistic friends that I like a lot of meat on the bones of my music and not just in the bass. After deciding to send the units along to Ken, Vytas and I debriefed at bit as well. 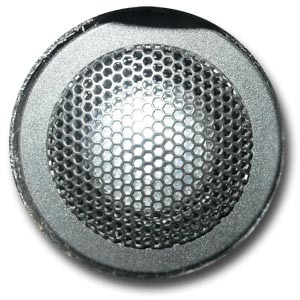 He wondered if I didn't object to the tweeter itself and described an option, which he discusses with prospective customers if they think they might prefer a soft-dome textile tweeter. 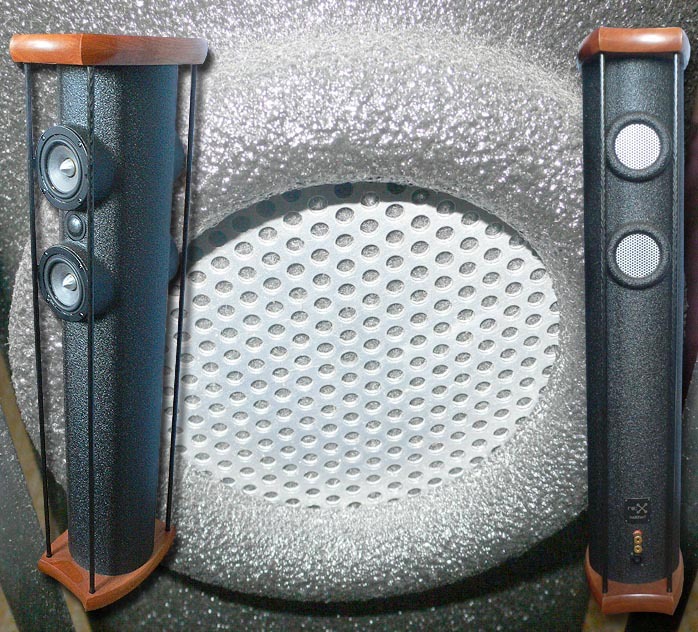 "One is available with nearly identical specs and sensitivity and drops right in, which made me consider the inclusion of both versions with the speaker. I decided, however, that this would be a waste of money and tweeters and I also preferred to solder the connections, making this a non-user-friendly option. I am not a fan of spade terminals." For the edification of our readers, he also did mention some custom options which are not on the website, "including Cardas binding posts and a capacitor upgrade for prospective buyers, should their tastes run towards the custom side of things. Mine is virtually a custom shop so this seems natural to me. I did not discuss options with you because what I sent you is a standard model and I feel that its performance is a reference for the brand. The speakers you heard were finalized at the design level last year and have not changed one iota to this day. Some people just really like getting into a custom design." In closing, re:X speakers are handcrafted in the USA and delivered direct to your door from the ground floor of a lovingly-restored 100 year-old carriage house in Ambler, PA. They carry a 5-year limited warranty against defective parts or workmanship and -- more importantly -- come with a 45-day money-back guarantee (shipping charges excluded). This means you get to audition the product in your own home with your own equipment. And this is as it should be. I am always pleased to see an outfit that allows consumers to try a product with little or no risk. It speaks highly of the manufacturer's confidence and respects -- especially in the case of audiophiles and music lovers -- the needs of responsible consumers.